Sometimes It happen that just to secure the PC we put a very long and complex password which we forget at the time of Login. Recently one of my friend was also faced the similar trouble then I got my hands on a very cool tool which helps in resetting the windows password in no time. You can use it for hacking someone's PC too because its powerful yet very simple to use and requires no victim's interaction, all you need is just some free time with the targets machine. 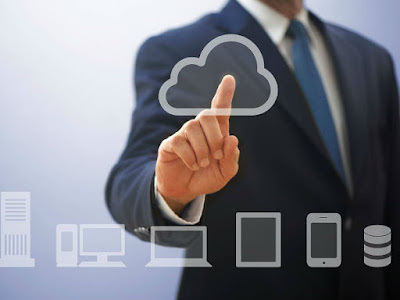 Computer Management: A group of utilities that help retrieve system information, enable, disable or manage device drivers, Windows services and software that run during computer startup, inspect the event logs of the offline system and manage partitions. Standalone System Sweeper: An antivirus that scans a system for malware, rootkits, and potentially unwanted software. Uses the same engine as Microsoft Security Essentials and other Microsoft antivirus products. An independent version of this product which is currently in beta stage is available to general public free of charge. ERD Commander originally included more tools, including a web browser. Grab a copy of ERD commander via internet or torrent from your trusted link, I'll provide my link soon. 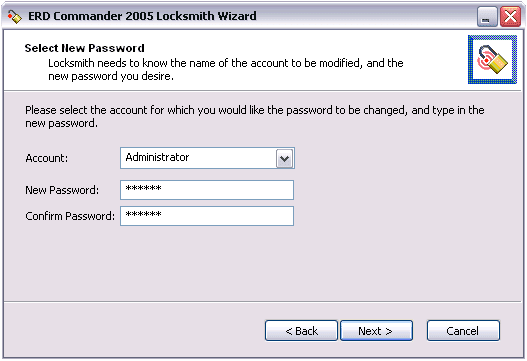 Lets take a look at quick guide to reset windows password. Insert the ERD commander disk and boot your PC, make sure that boot from CD is marked as first priority in Boot device menu. Now select the account type, and put any easy password like 123. Remember its not your final password, it'll help you only to logged into the account next time when you reboot the PC. Click Finish and you're done. Now eject the disk and reboot your PC. Login to your account with the new password which you just reset. There It'll ask to reset password, here you can enter whatever password you want as your final password. Note: ERD commander will work fine on windows XP, Vista, but not work well on all the versions of Windows 7. So if you're planning hack or reset the windows 7 password then it'll may not work however its worth giving a try.